Thank you to everyone who supported the event. Please keep in touch with the Alliance between now and the 12th National Rural Health Conference, to be held in Adelaide, 7-10 April 2013. 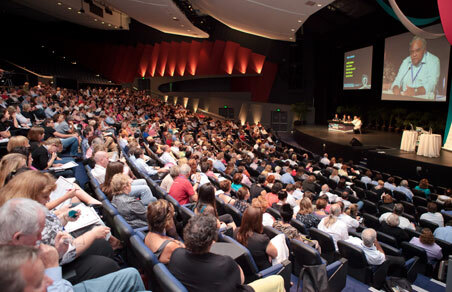 Delegates attending a keynote presentation from Tom Calma during the 11th National Rural Health Conference. The Alliance receives core funding from the Australian Government Department of Health and Ageing.